Anne and I are going crazy with simple salads for lunch. we are trying to eat healthy and at the same time come up with some new ideas and recipes. Anne made a lentil salad with radishes, tomatoes, fennel, fresh cilantro from a pot outside our door and roasted red peppers. I added just a little balsamic and olive oil to dress it. It was terrific and easy. She used canned lentils to save on time. 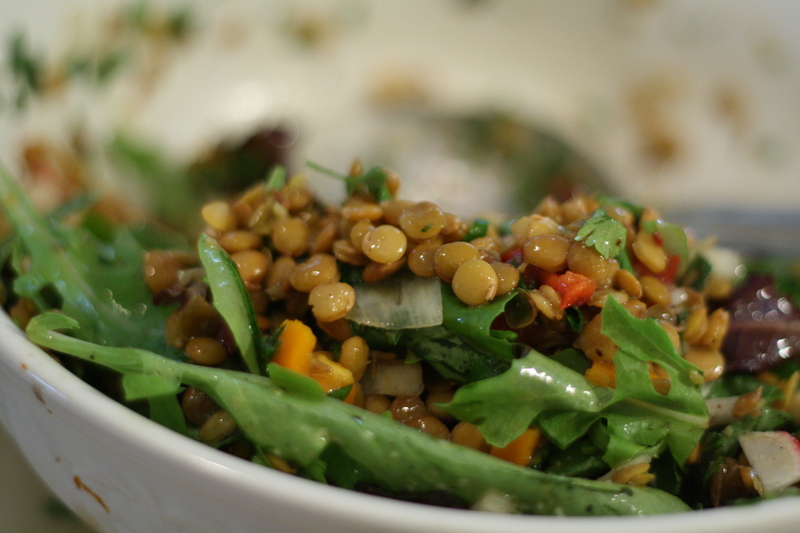 The lentils were firm and held up well in the salad. Sometimes lentils can be very mushy. 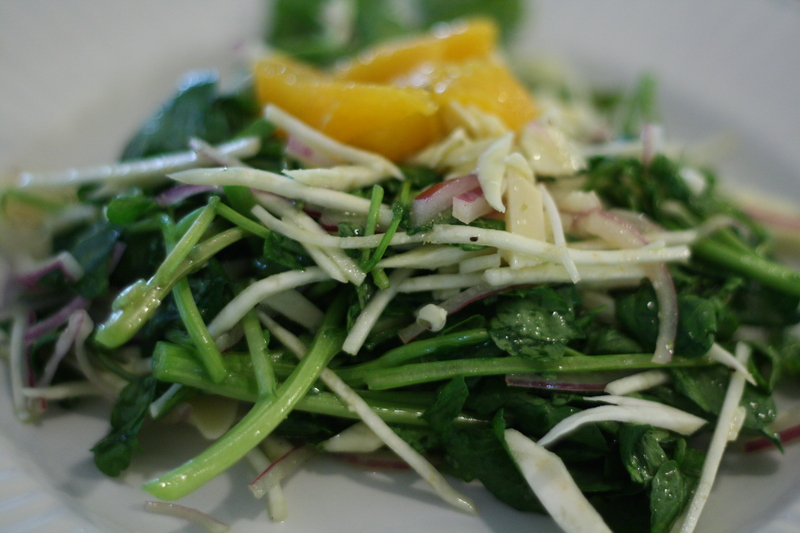 I made a watercress and celery root salad with red wine vinaigrette and freshly grated Parmesan cheese . This salad looked a little better than it tasted. It needed a more flavor.